For the fourth time, the French MV`s of Jakarta, Singapore and Kuala Lumpur met for a cultural gathering. This time, we were four from Kuala Lumpur and 18 altogether. 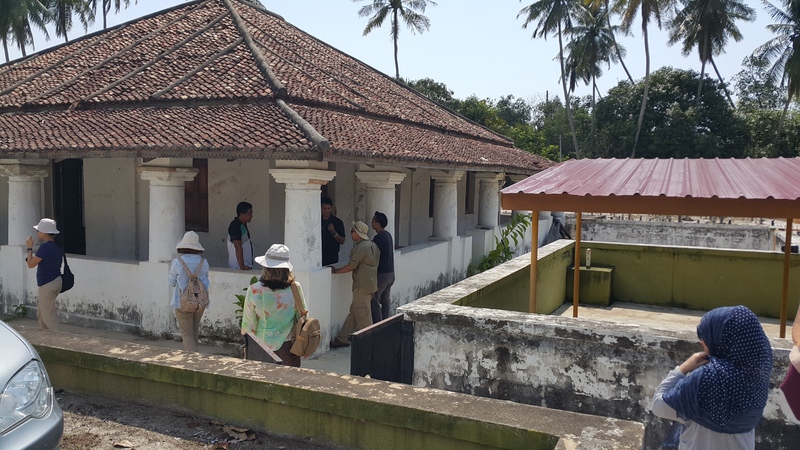 We had the opportunity to visit Borobodur, Prambanan and a part of old Yogyakarta with all the information we could have dreamed about, thanks to the hard work of the Jakarta French team. After half a dozen loops above the airport due to a malfunction of the control tower, we landed and were welcomed by the president of the IHS (initiator of these cultural meetings) and Laurence, both former Kuala Lumpur MVs. We were met by a few other Jakarta guides and went directly to visit Candi Mendut and sank into the Buddhist culture. Candi Mendut is one of the three buildings erected aligned with Borobodur in the 9th century. It was restored beginning of the twentieth century using the anastylose method, a technique developed by the “French School of Oriental Art” (yeah!!). Then we proceeded to the Manohara Hotel, very conveniently situated, right at the foot of Borobodur. From there, our guides brought us to a wonder for tea time, the Aman Jiwo hotel. Modelled on a stupa, the lobby is facing Borobodur valley with the rooms spread in half concentric circles of smaller stupas, just like Borobodur itself. We had the opportunity to visit the rooms but for the asking price, we decided to come back only for the tea with our respective husbands! After a long delay and also a few rounds in the sky of Yogyakarta, the Singapore guides arrived and could enjoy the breath taking site seeing. Back to the hotel, we met the last of the Jakarta guides (no tea in wonderland for them, sadly!). Then the serious work began: a cultural “apero” was waiting for us at the library. 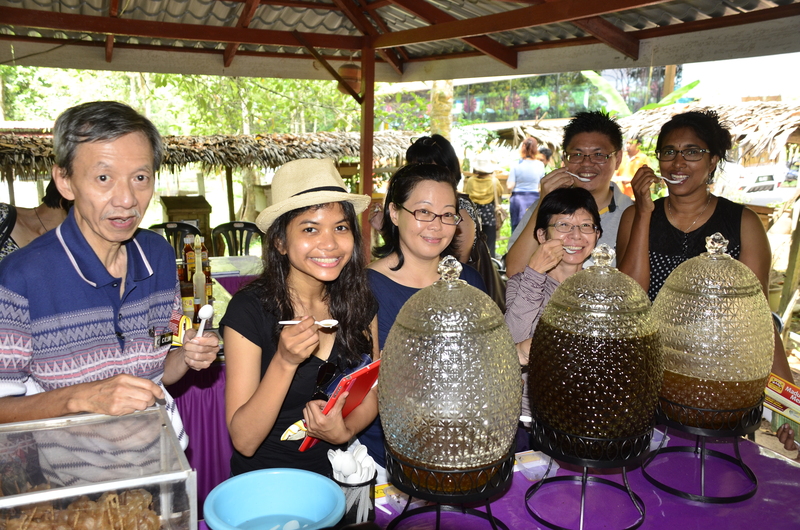 Most of “foreign” guides had bought a bottle of wine at the duty free and after the welcome word and batik gift from our president, we shared the firsts of them while listening to Colette presenting the highlight of the trip: Borobodur. 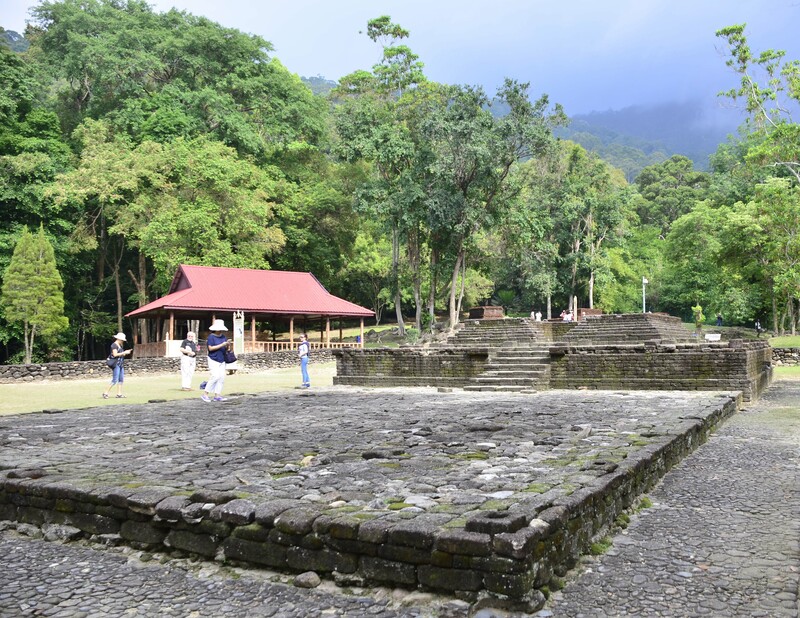 We learned it was built in the 9th century by kings of the Sailendra dynasty. It is a mountain temple made of 4 square terraces and 3 round ones, each one smaller than the preceding one and topped by the main empty stupa. Each square terrace comprises two walls facing each other and displaying a strip depicting the life of Buddha, the legend of his previous lives and the everyday life of common people of the time. The first terrace walls being higher than the other three, accommodate two strips per wall. The pilgrims had (and again since the 90’s only and after a long oblivion) worshiped, by doing as many tours of the galleries as there are strips; altogether, they have to walk 5km before reaching the circular terraces where 72 stupas containing a Buddha are their reward. On the last terrace a large empty stupa shows the vacuity of life. Here the pilgrim can make a wish and tour the stupa with an uneven number of paces and in silence to get it granted. Then it was dinner again for us in the nice Plataran hotel. The Mongolian barbecue was delicious! After a short night for most of the MVs, they woke up at 4:15 am to go and discover Borobodur at sunrise. Too early for me! But it was said to be very nice in the mist. After a well-earned breakfast (for them…), we all went to the foot of Borobodur for further talks on central Java history and Buddhism. That is when we discovered the difference between enlightenment and awakening, vacuity and emptiness. I cannot say I understood everything but, well, I was enlightened! At long last, we began the climb of the sacred mountain and received more information about the nicest and most famous bas-relief. 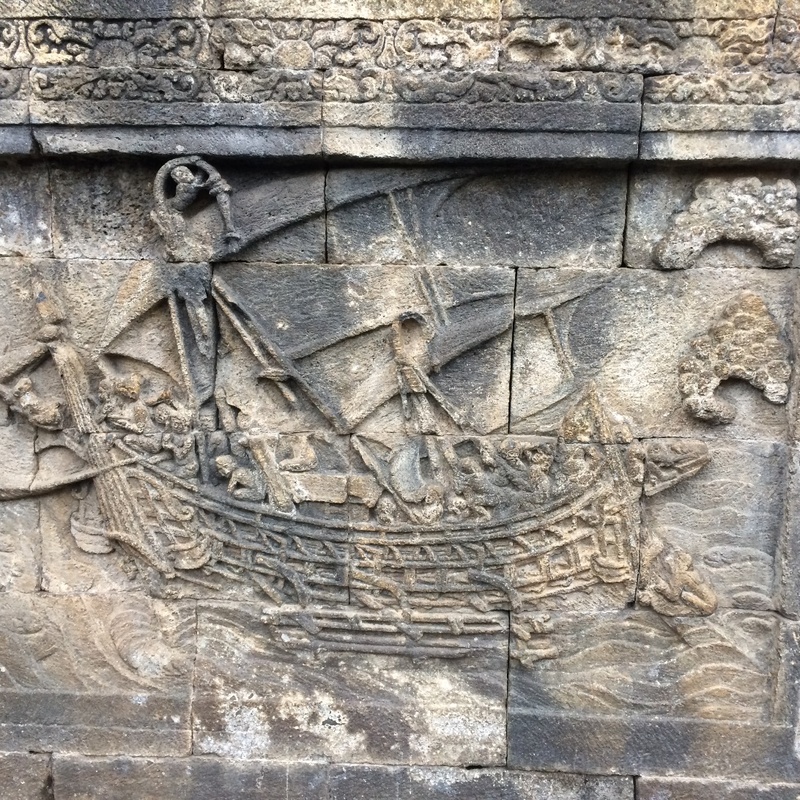 There we discovered the famous 4 boats which are not from Majapahit, as they were carved too early to be from that kingdom’s time, but plain Javanese boats. We did only one tour of each gallery. When we arrived at the main stupa, all of us tried the wish trick (even though the silent part was difficult for us!). Let`s see if our wishes will be fulfilled! We climbed down the temple and up again a hill facing Borobodur for a last presentation of the restoration of Borobodur before a well-earned nasi or mee goreng back at the hotel. Then it was the much expected visit of the …. unexpected: the “gereja ayam”. After yet another straining climb, a kind of pillbox in the shape of a hen was awaiting us. 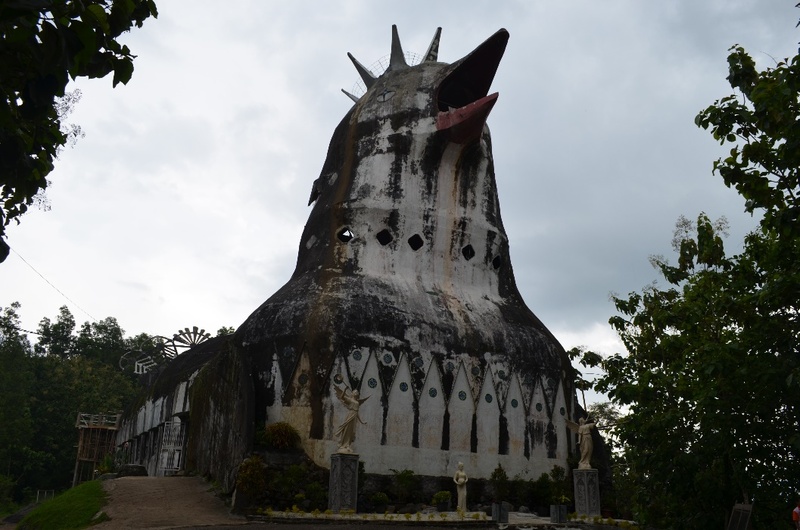 Our guides told us it was a prayer room built by a man who had a vision; God told him to build a prayer room in the shape of a dove in the middle of the jungle and here it was, very unexpected indeed! Even though, it was not completed due to lack of funds and looking more like a hen (ayam) rather than a dove. Back to the bus, we went to the last of the three buildings built aligned with, and at the same time of, Borobodur, Candi Prawon. It is a shrine (probably the shrine of a King), not a temple. Then it was back to Yogyakarta, where a 2 hours rest was most welcome. Then, we learned about the story of Yogyakarta, one of the only two provinces with a sultan only since 1755, the other one being Solo. We also had our first encounter with Hinduism, in a presentation of Prambanan. 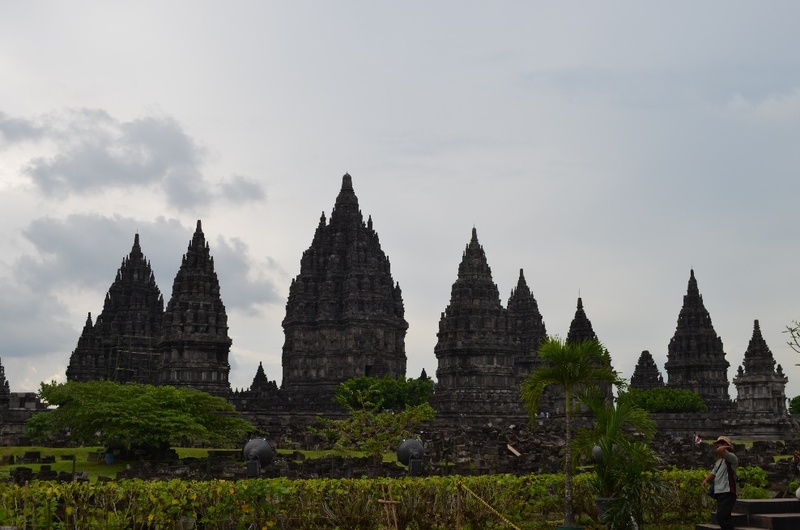 Prambanan was built at the same time as Borobodur. It is a cluster of temples. 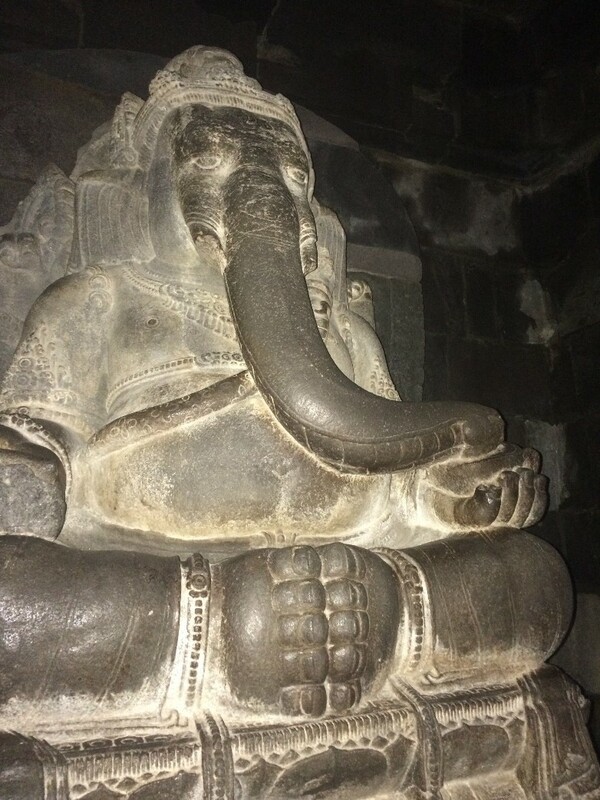 The main one is dedicated to Shiva (Agastya, Ganesh and Durga), between one to Brahma and one to Vishnu; each god’s temple is fronted by atemple dedicated to his own vehicle, respectively Nandi, Hamsa and Garuda. In front of these 6 temples were 254 or 249 (we cannot remember!) small temples which are now just piles of stones anyway and whose function has yet to be determined. During the diner at a French restaurant that followed, we emptied a few more bottles and were happy to have a good night sleep after! Wednesday morning we met our local French speaking guide for a visit of old Yogyakarta. He showed us a wet market and we took nice pictures of the group at the Sultan’s Bath. None of us were sent a flower to go and swim at his private swimming pool! From there we went and visited the underground mosque. I was there when Wahida called about the university visits on the 9th December and 12th January, relayed by Sylvia to KL MVs; by the way, we still need help for the visit on the 12th January at 4:00 p.m. !! They have a long nose because they look for knowledge in the West. They have big feet and short legs to stand firmly on Earth. The lower part of their bodies is round like the Earth with carvings representing Fire, Water and Air. The tree of life is full of symbols as well. 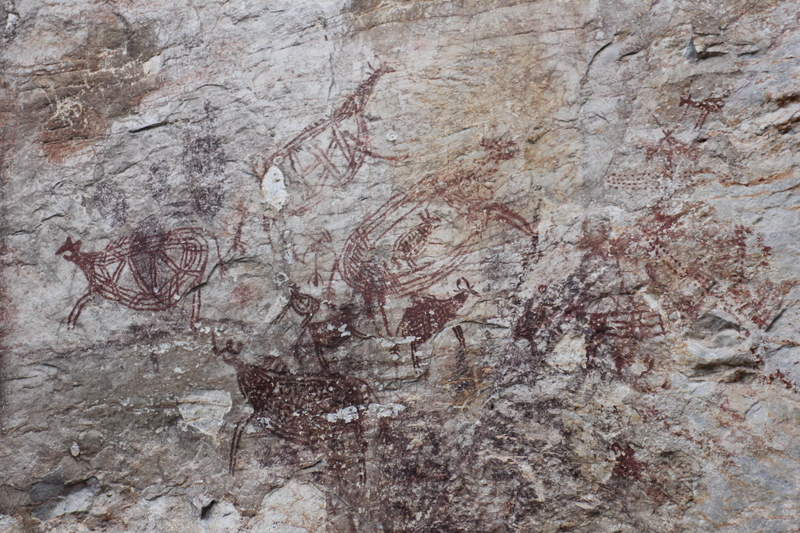 The base is a Yoni, then there are several animals: the bull (strength), the tiger (cleverness), the snake and some monkeys. After tasting some of the preferred courses of the sultans, we reached Prambanan. During the visit, Colette described each divinity but, unfortunately for the 4 of us, it was soon time to go and catch our plane back home and we could not attend the end of the lecture. The Jakarta guides left one hour after us and the Singapore MVs had a plane only the next morning at 6:00 am! But at least, they could finish the bottles Wednesday night. I do not know in which state they were in the morning! As you can see it was a very busy, interesting, enriching trip, well washed down (not only with wine, but rain as well! ); I want to thank the Jakarta team for all their hard preparatory work. You are interested in this kind of trip? I`ll tell you two secrets, Jamil asked me the contact of the “Singapore Friends of Museums” to organise a similar treat with them. And Karen is considering a field trip to Borobodur. 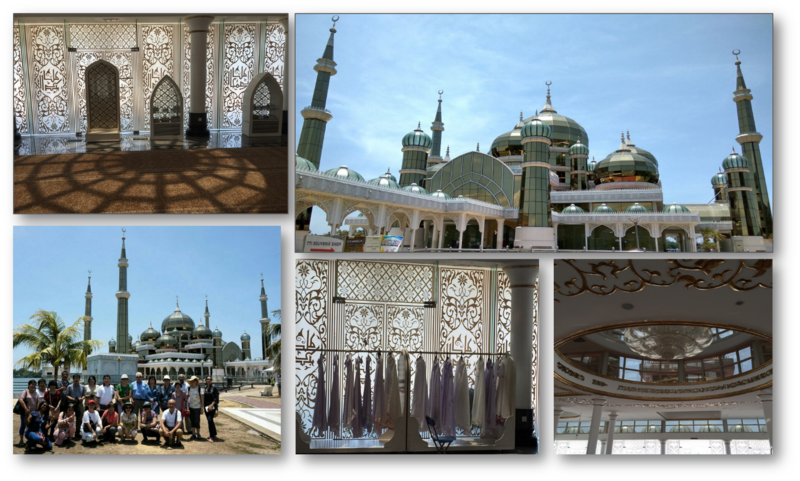 The agenda for the day 3 (Thursday 21.04.2016) in Kuala Terengganu included a visit to the Islamic Civilization Park and a photo stop at the Crystal Mosque as part of the highlights of the day. But at the end of the day, more landmarks were added to our agenda, and we were definitely delighted about all we had seen and learnt during the third day’s excursion in Kuala Terengganu. It was almost 9:00 am when we started boarding the JMM bus. We thought we were heading directly to the Islamic Civilizations Park, but we made instead a detour and our first stop was: Shopping! And the question followed: Again?… Yet, this was a different type of shopping. 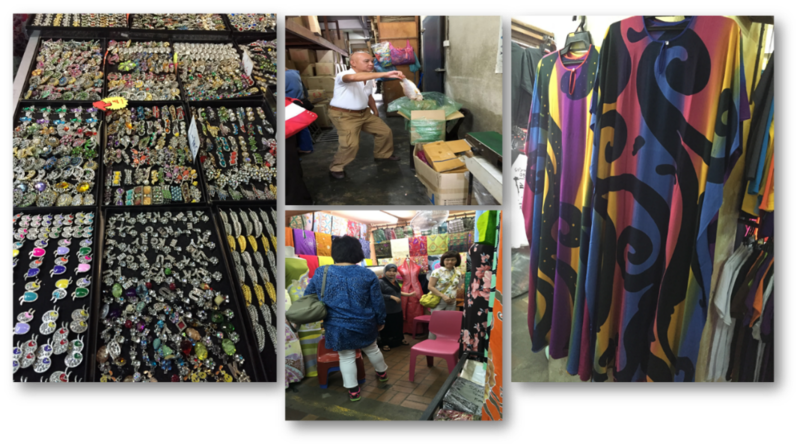 We headed to the old market ‘Kampong Tiong’ located within the boundaries of the Kampong Cina. Regarded as a heritage landmark in Kuala Terengganu, Kampong Cina, as it is named by the locals, or Chinatown as it is most commonly known, has maintained its features and traits since the late 19th century. 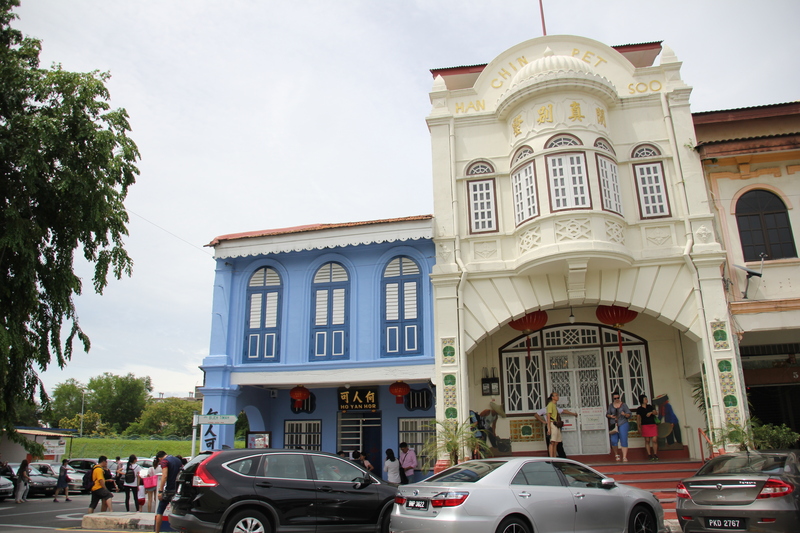 The attractiveness of the centuries-old buildings along Jalan Bandar, granted the area a place on the Watch list of the World Monument Fund. Under the name of Kampong Cina River Frontage, the World Monument Fund helped to support the conservation of Malaysia’s historic waterfront district with the aim of “revitalizing Kampong Cina and upgrading the capabilities of the traditional structures, so growth could be accomplished while a unique way of life is preserved” (Wmf.org, 2015). 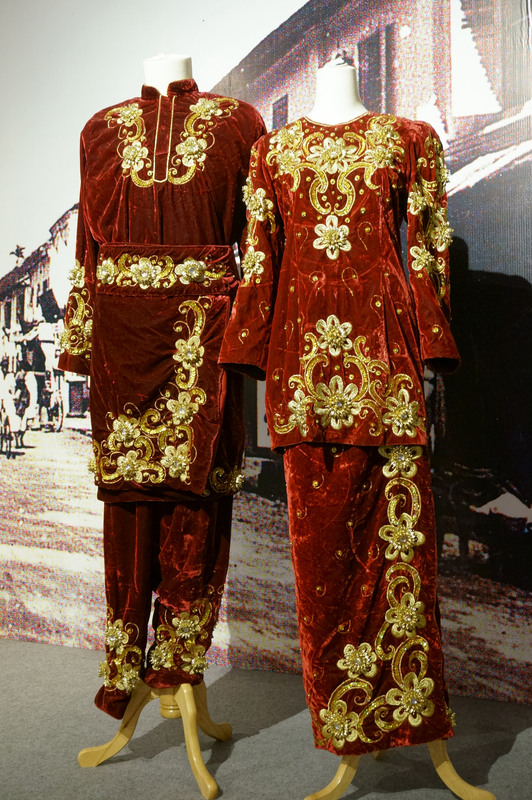 The arrival of the first Chinese migrants to Kuala Terengganu and the founding of the city’s Chinatown cannot be specifically dated “but some records indicate that Chinese settlers arrived here as early as the 16th century” (Hogan Jr, 2015). As we learned from the inscription on the wall in front of the Low Tiey´s well, the migration of Chinese came from the province of Fujian and started during the late Ming dynasty and early Ching dynasty (Yaw in Chinese Assembly Hall of Terengganu, 2004). Among the wanderers, there was a particular Chinese clan, who had travelled south from China about 300 years ago and settled in the area now known as Kuala Terengganu. The clan’s name was Lim, they were farmers and to cultivate the land, they dug up a well for the supply of water for the farm and for their domestic needs. 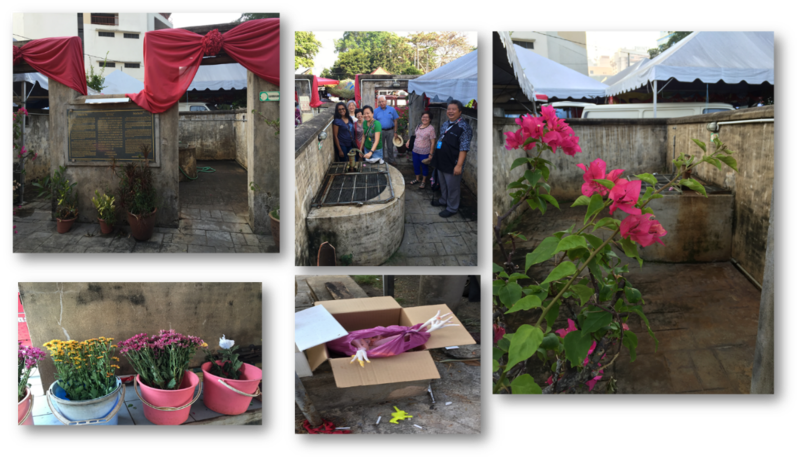 The interesting story behind this well, which makes it a cultural and historical attraction in Kampong Cina, is that in 1875 the town of Kuala Terengganu experienced drought causing most of the wells to dry up except for the well of the Lim clan. They were kind enough to share theirs well’s water with the rest of the town’s folks. Mr Lim Keng Hoon was the family’s patriarch and was holding the post of Low Tiey at that time. The term Low Tiey can be understood as Chinese community leader (Myfareast.org, 2016). The Low Tiey’s well was named after Mr Lim in recognition of his family’s generosity during that period of time. The well was divided in two sections, male and female, to ease the bathing etiquette of the conservative society of the time. The Pasar Besar Payang was the next spot we visited. 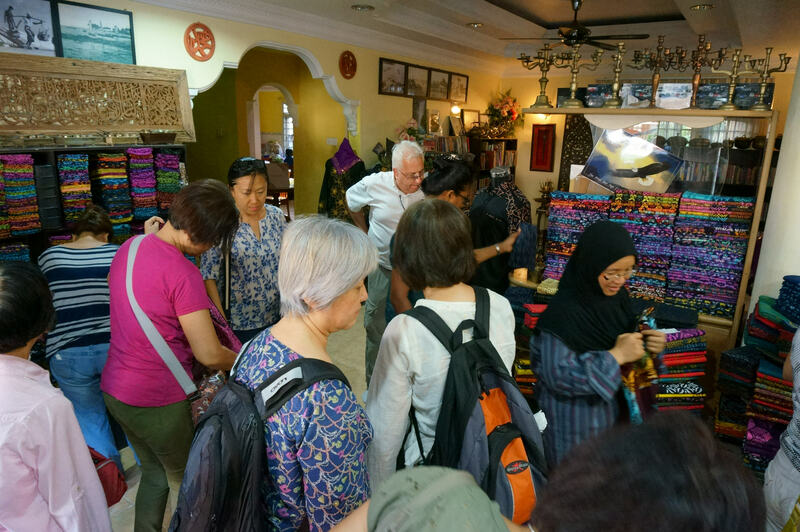 Housed in a two-storey building, the market has a wide range of products, from fishes, vegetables and fruits to regional handicrafts, such as batik and songket textiles, which were reasonably cheap and offered us early retail therapy for the day. As locals frequently do their shopping at the Pasar, this gives outsiders, the opportunity to experience local culture as well. 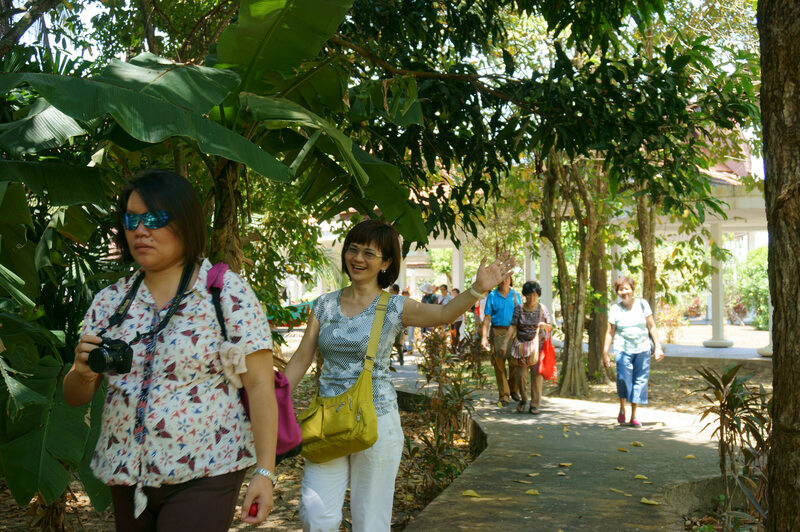 Right after we finished the shopping spree at the pasar, we moved forward in our tour schedule and continued our journey to the Islamic Civilizations Park. The park is promoted as an edutainment park with the mission to “provide alternative family recreational and educational activities based on the Islamic principles” (Tti.com.my, 2016). 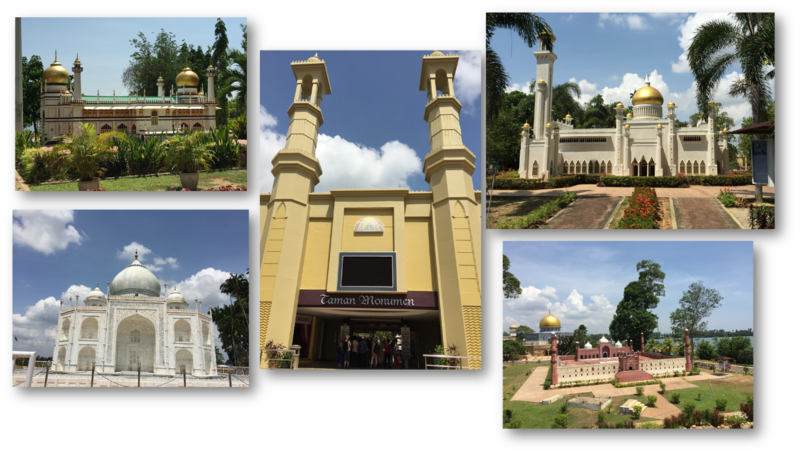 The Monument Park is a tourist attraction that showcases 22 replicas of Islamic architectural structures which are mostly places of worship for the Muslim community. The edutainment park also includes the Taman Tamandun Islam Water Wheel, which re-creates the theory of early Muslim engineering stored in the books of the Arab Muslim scholar and engineer Al-Jazari (Famous Inventors, 2016). The Islamic buildings featured at the park are considered “glories of Islamic civilization from all over the world” (TTI.Org, 2016). The visitors to this impressive Theme Park can get a glimpse of the iconic buildings of Islamic history through the meticulous replicas of 22 remarkable mosques, tombs and citadels from around the world. A documentary screening, available at some of the attractions, can be watched before proceeding with the visit of the whole structure. The documentaries and exhibition galleries add extra knowledge on the history behind each of the Islamic architectural masterpieces. Among the replicas, the Dome of the Rock is one of a very impressive character. The shrine is located within the Al Masjid Al Aqsa area or Noble Sanctuary of Al Aqsa in in the Old City of Jerusalem. Under its Arabic names, the building is well-known as Masjid As-Sakhrah and Qubbat As-Sakhrah (Visitmasjidalaqsa.com, 2016). It is situated in the middle of the plateau of Al Masjid Al Aqsa and was built in 692 C.E. by Al Malik ibn Marwaan. 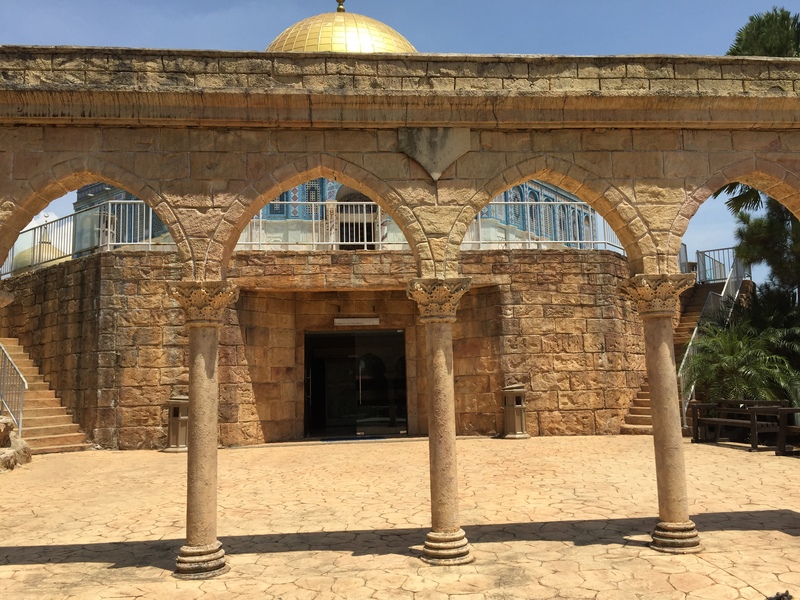 The Dome of the Rock building preserves the Sacred Rock commemorating “the Prophet’s Muhammad’s Ascension to Heaven accompanied by the angel Gabriel” (Newworldencyclopedia.org, 2016). Another imposing construction in the vicinity of the park is the Crystal Mosque. Its construction started in 2006 and it was inaugurated in 2008. The outside structure is made of glass and steel, which gives its crystal-like appearance and therefore its name. The architectural style is basically contemporary but traces of Moorish and Gothic architecture were incorporated as well. According to the Islamic Tourism Centre (2016) the Crystal Mosque is the country’s first ‘intelligent’ mosque with a built-in IT infrastructure and wifi connection, providing visitors with internet access. The excursion to the Taman Tamadun Islam concluded with a quick look at the souvenir arcade. Luckily, the shop also provided us with most needed snacks and drinks. By the time we have finished the tour, we were hungry and quite overworked after touring the park at a ‘melting’ temperature of 38 degrees Celsius. We then ambled towards the photo stop at the Crystal Mosque to take de rigueur group photo before driving to the hawker center where we had our long awaited lunch. 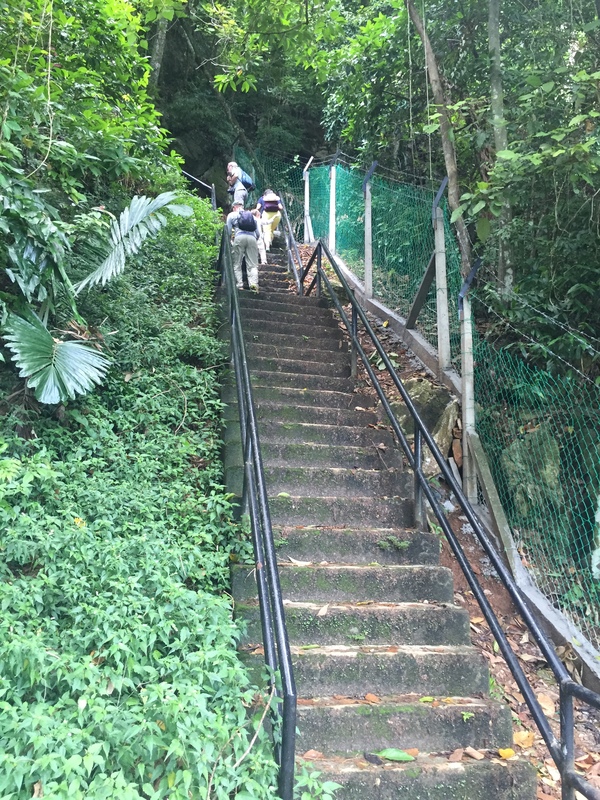 The last place of interest in our agenda was the Bukit Puteri or Princess Hill. We took the stairs and climbed up to the top of the hill. Elevated towards the Terengganu river and the South China Sea, the Princess Hill “has been a witness of the historical development of Kuala Terengganu” (Official Portal of Malaysia National Archives, 2016). The breeze and the view of the Istana Maziah were most enjoyable. The hill was used as a fortress during times of civil wars. 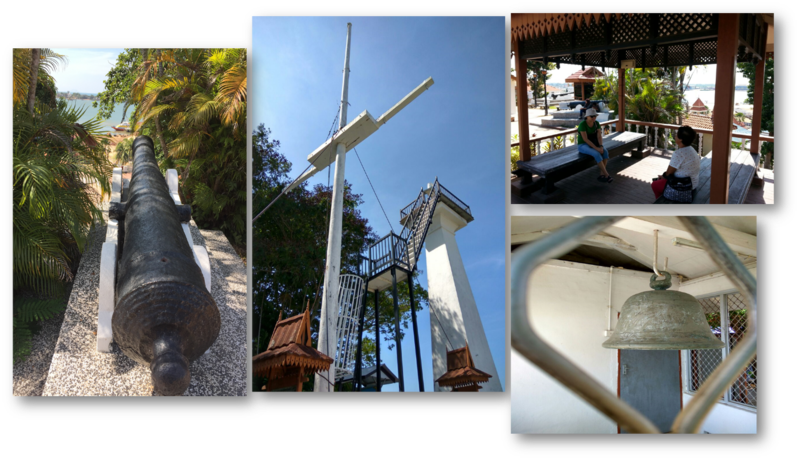 Historical artifacts can be found at the top of the hill, among those: the Bell, made in 1908 to replace the original bell called ‘Negara’ which was made in 1853 during the reign of Sultan Umar. The Bell was used to alert the people about danger. The Throne of Sultan Umar can also be found at the fort. Last but not least, a lighthouse, which guided the fishermen and seaman to get to the port of Kuala Terengganu in past times, is placed at the hilltop. The day 3 of our MV trip to Kuala Terengganu ended with new experiences and brains fuller with knowledge. Famous Inventors. (2016). Al-Jazari. [Online] Available at: http://www.famousinventors.org/al-jazari [Accessed 4 May 2016]. Myfareast.org. (n.d.). 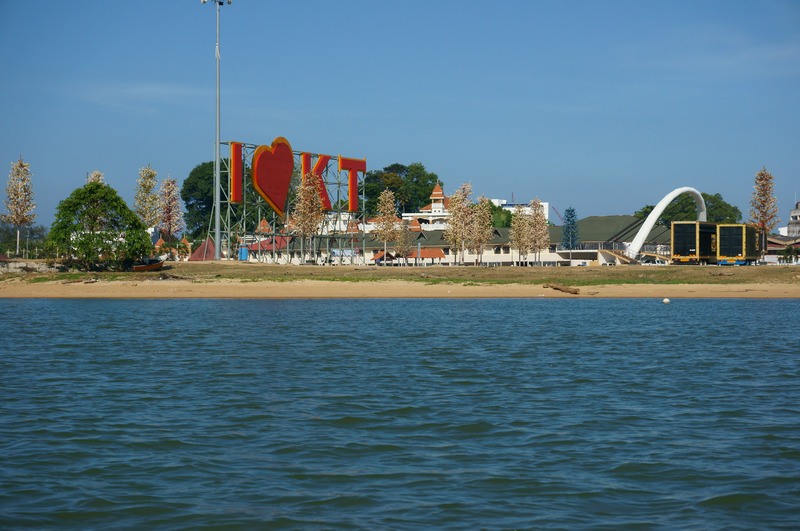 Terengganu. [Online] Available at: http://www.myfareast.org/Malaysia/terengganu.html [Accessed 4 May 2016]. Hogan Jr, D. (2015). 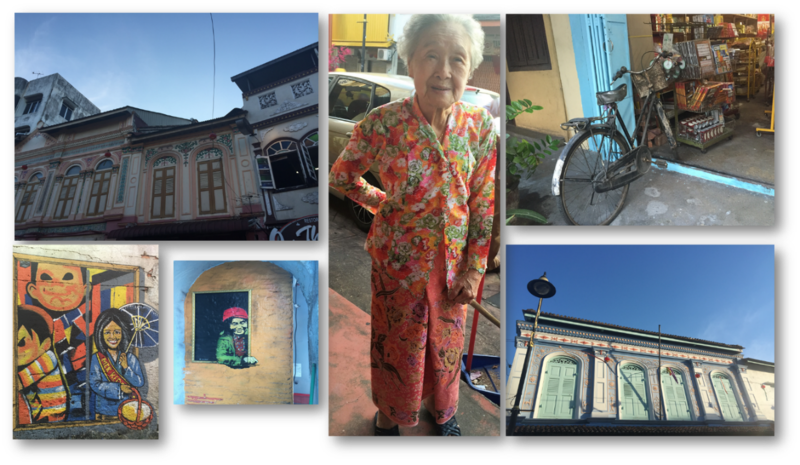 Time-travel to Kuala Terengganu’s Chinatown. Free Malaysia Today. [Online] Available at: http://www.freemalaysiatoday.com/category/leisure/2015/10/28/time-travel-to-kuala-terengganus-chinatown/ [Accessed 4 May 2016]. Islamic Tourism Centre. (2016). Masjid Kristal (Crystal Mosque). [Online] Available at: http://www.itc.gov.my/mosque/masjid-kristal-crystal-mosque/ [Accessed 10 May 2016]. Newworldencyclopedia.org. (2016). Dome of the Rock. [Online] Available at: http://www.newworldencyclopedia.org/entry/Dome_of_the_Rock [Accessed 5 May 2016]. Official Portal of Malaysia National Archives. (2016). Bukit Puteri. [Online] Available at: http://www.arkib.gov.my/en/web/guest/bukit-puteri [Accessed 10 May 2016]. Tti.com.my. (2016). Mission & Vision | Taman Tamadun Islam. [Online] Available at: http://www.tti.com.my/about/company/missionvision [Accessed 10 May 2016]. Visitmasjidalaqsa.com. (2016). Islamic History of Al Masjid Al Aqsa. [Online] Available at: http://www.visitmasjidalaqsa.com/islamic-history-of-al-masjid-al-aqsa/ [Accessed 10 May 2016]. Wmf.org. (2016). Kampung Cina River Frontage. World Monuments Fund. [Online] Available at: https://www.wmf.org/project/kampung-cina-river-frontage [Accessed 4 May 2016]. 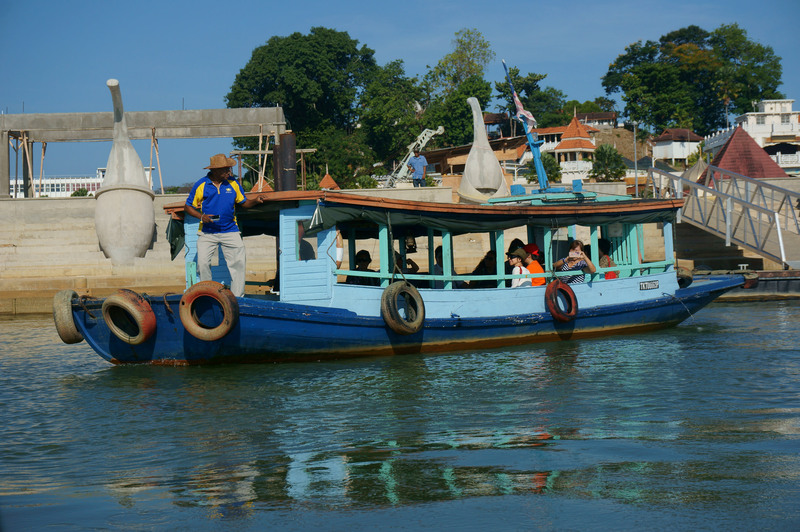 It was hot and sunny when we started the cruise in two fishermen taxis from near Duyong Island (Pulau Duyong). We separated ourselves into two groups, each occupying a taxi boat with a distance of 50m between us so that we will have a calmer sail. 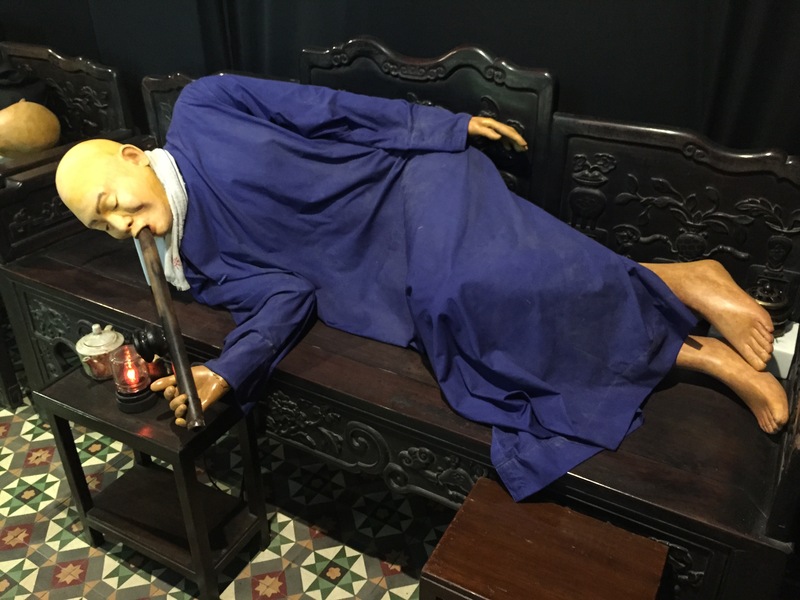 As we travelled inland towards the Terengganu State Museum and Islamic Civilization Miniature Centre, we could feel the soft breeze kissing our cheeks giving a cooling effect. Our local guide was in the same taxi as Elizabeth, Cze Yan, Julie, Mariea, Wai Mun, Yeow, myself, together with few others that left the jetty ahead of the President, Jega, and the rest. Without noticing that we were actually by the open museum marine exposition site, we who sat at the engine corner just concentrated ahead of us towards the Islamic Civilization Centre and Crystal Floating Mosque. It was only on the following day that we realized that we were at the riverbank adjacent to the museum. 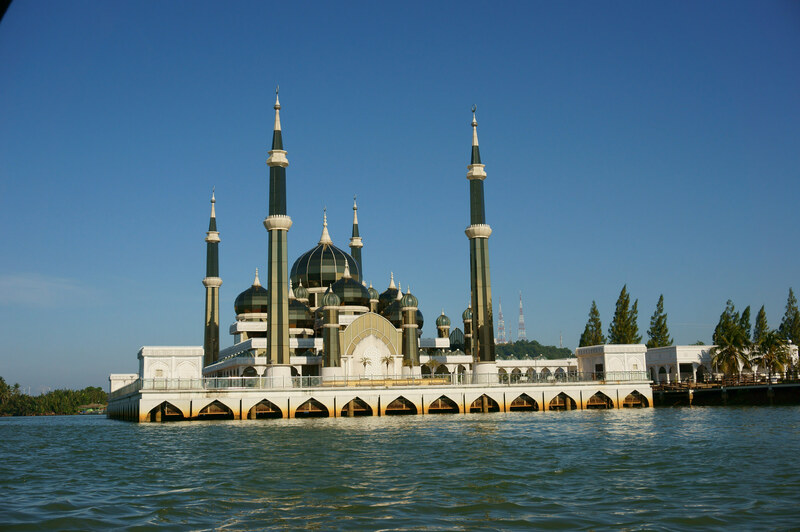 We also learned that the reason the Crystal Mosque was constructed as such was because the architect wanted to reflect the people of Terengganu living on tilted houses along the river bank. The view of the riverbank is magnificent under the bright sun beam; despite the intense heat with two dry months, the river is not muddy. The money spent to reclaim and beautify the once fishermens’ shoreline is worth more than my words. 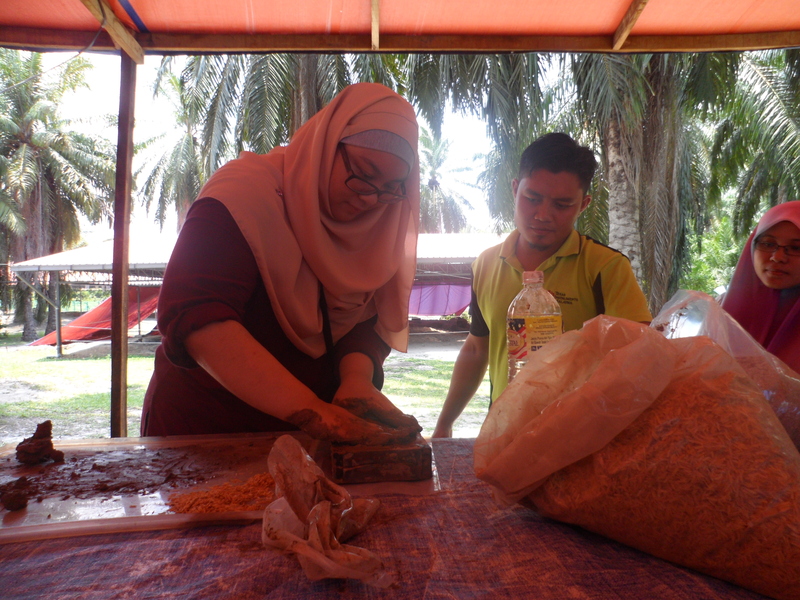 The Museum Volunteers organised a study trip to Kuala Terengganu between 19 – 22 Apr 2016. 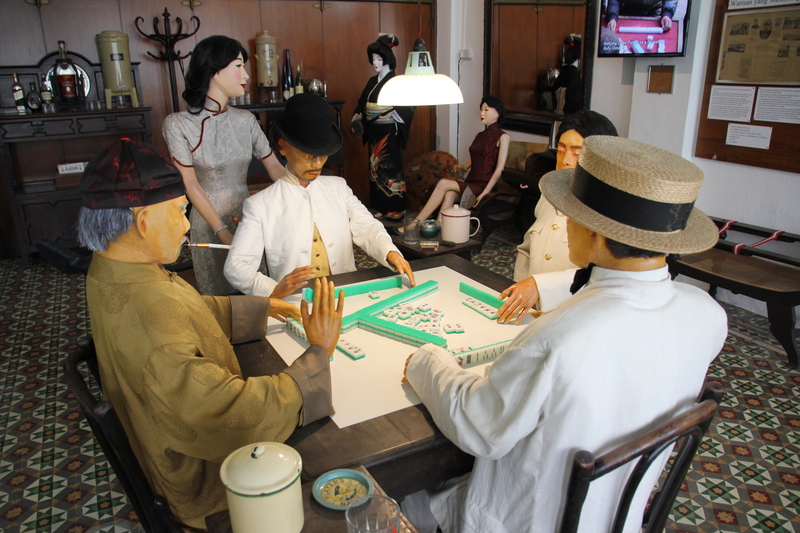 Chen Poh Leng has the story for Day 2 (20 Apr). Day 2 of our visit started with a hearty buffet breakfast at the hotel that included delicious local fare such as nasi dagang (rice) with gulai ikan tongkol (fish in gravy), pulut kelapa (coconut covered glutinous rice balls) with salted fish and cucur ikan bilis (fried dough with anchovies). 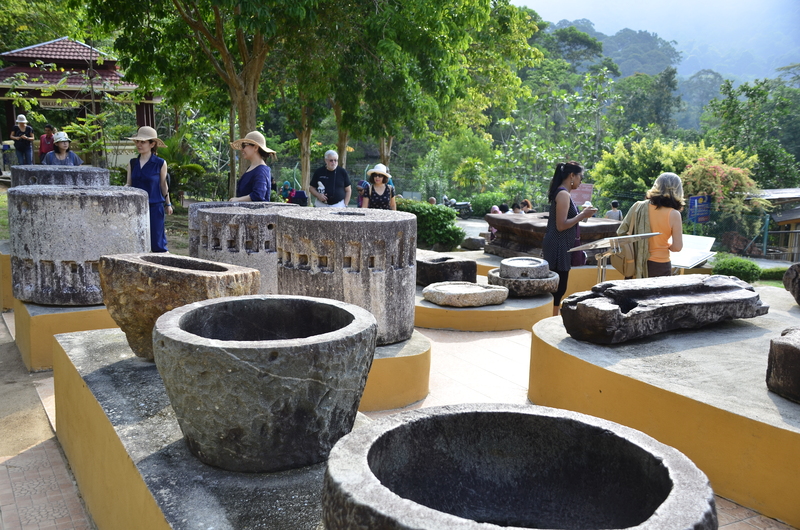 With much stored energy, we headed off to the Terengganu State Museum, the highlight of our trip. We were all awed by the main museum building’s beautiful architecture and the very first thing we did was to take a group photo with this beauty. The architect, Raja Dato’ Kamarul Baharin Shah, incorporated Terengganu’s old palace design into this creation. 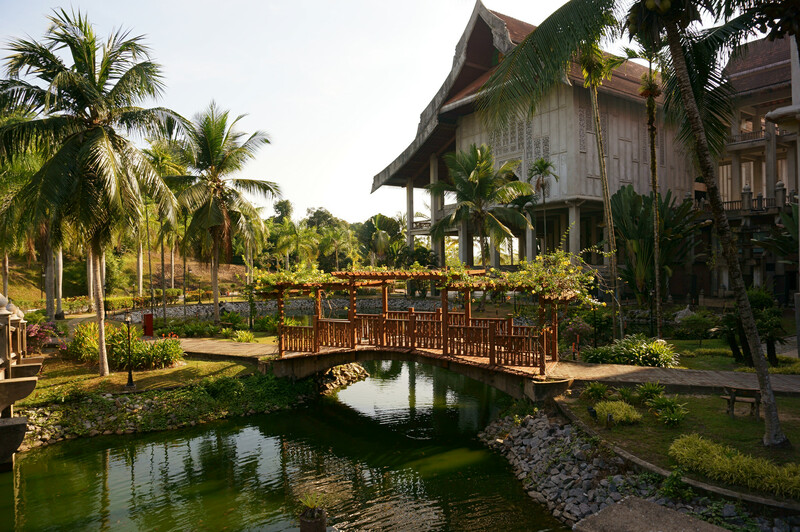 The museum complex spans over a land area of 27 hectares and consists of a main museum, a fisheries museum, a maritime museum, four traditional houses with herbs and botanic gardens. The grounds of the museum is so beautiful we were told that wedding photography is a common occurrence there. 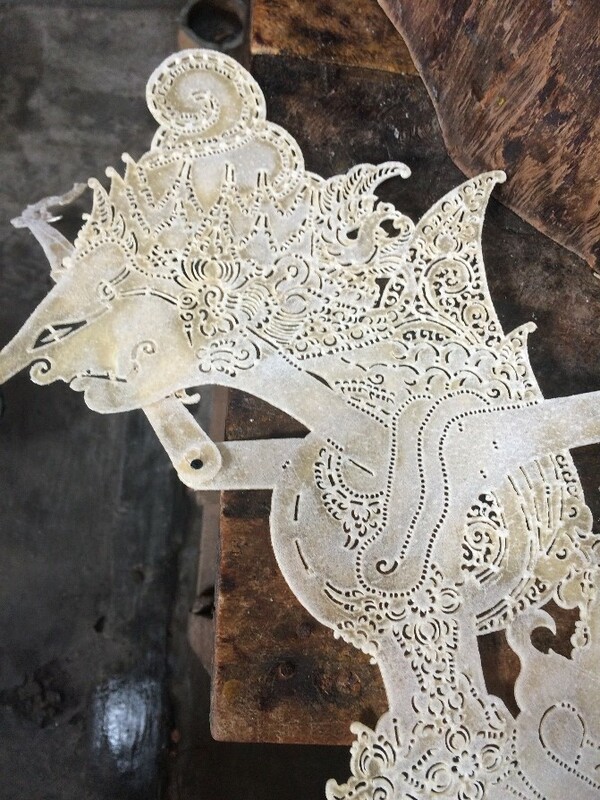 There are a total of 9 galleries covering textiles, royal, Islamic, craft, petroleum, natural history, seafaring and trade and finally, fisheries and marine park. We were privileged to be warmly welcomed and guided by the director of the museum, Tuan Haji Mohd Yusof bin Abdullah. He told us that the concept of the architecture was based on the local dwelling concept where houses could easily be extended and connected with corridors as families grew. The houses could just as easily be dismantled. He shared with us that the main purpose of building the state museum had to do with the inscribed stone Batu Bersurat first discovered in 1887 in Terengganu. This is the most famous artefact of the state. 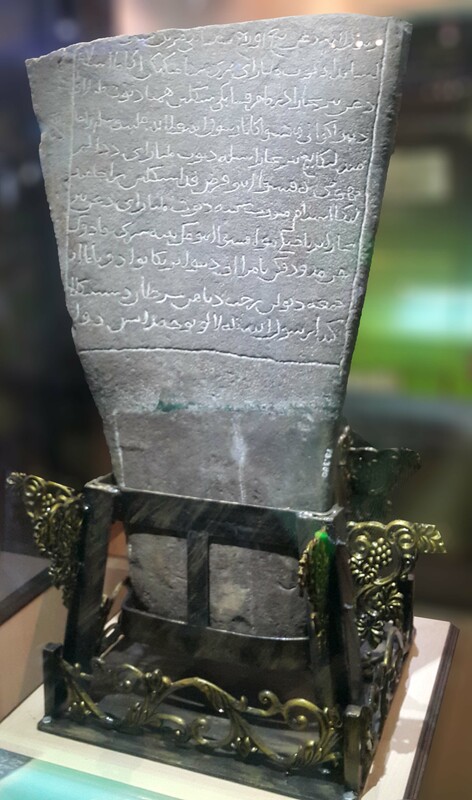 It has the Malay language inscribed using Jawi script on dolomite stone. He highlighted that one of the main reasons of the ease of the spreading of Islam in the Malay Archipelago was the writing of the Malay language in Jawi script. According to him, the Malay language had additional 5 Jawi ‘symbols’ or characters compared with the Arabic language. 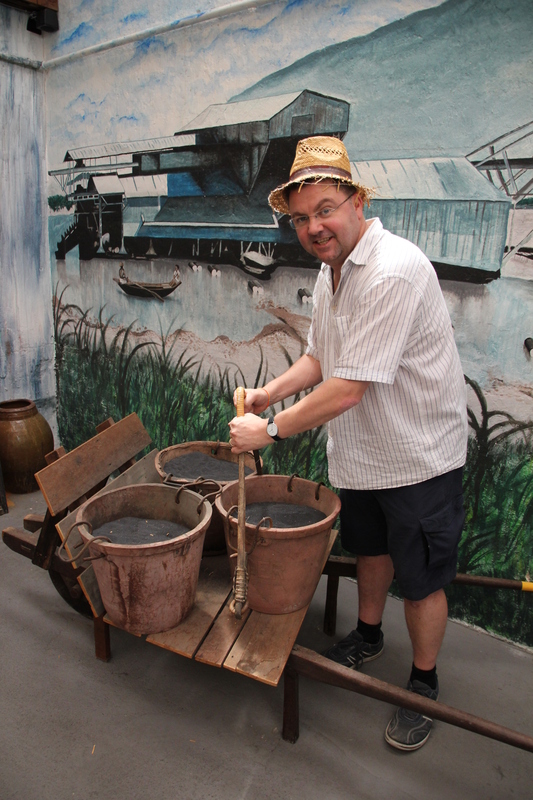 In the maritime museum, we climbed into an actual cargo boat on display and were introduced to some sea faring facts within the south east Asian region. 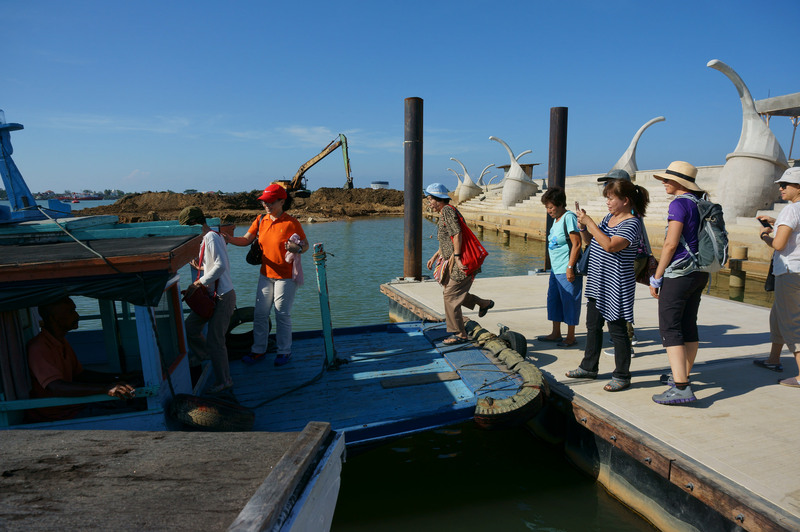 We were also introduced to various types and characteristics of different types of perahu (boats), the most famous being perahu payang. 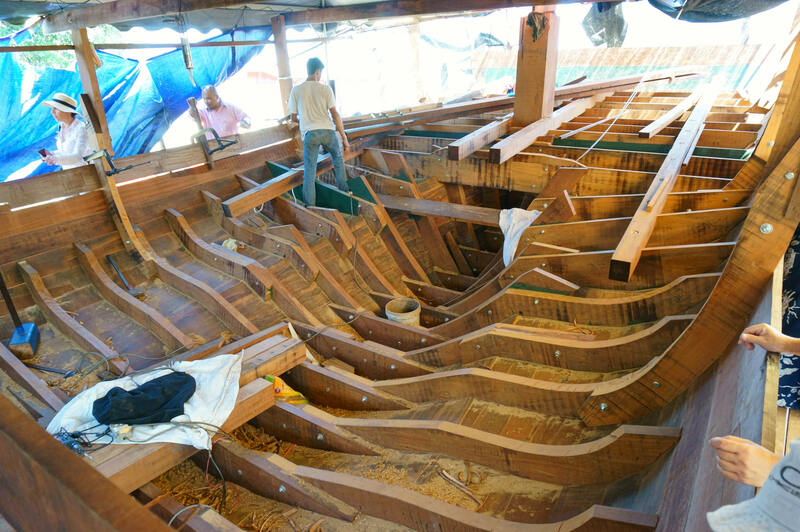 We were told that the boat building skill was special in that no plans were drawn. It was all ‘within the head’ passed down from one generation to another. As we moved along the grounds we could see many different fertile flora around us. We were introduced to various fruits trees and herbal plants by Tuan Haji Mohd Yusof who shared the benefits of consuming them. He had special interest in this subject and thought preserving these plants would complement the museum complex’s grounds while being environment friendly. Fruit trees we saw included the belimbing, the tropical fig as well as tropical olive trees. Istana Tengku Long. 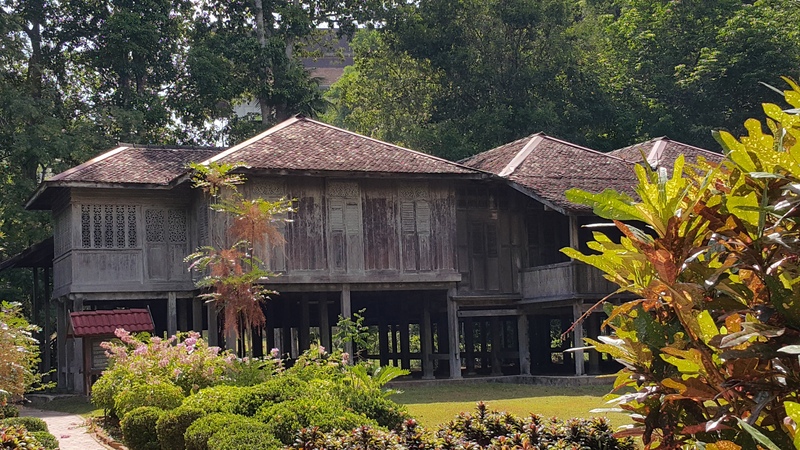 This traditional house was relocated to the museum’s grounds from its original location at Sungai Besut. The museum excursion took up the whole morning and by the time we finished, it was time to refill our tummies. The authentic Peranakan lunch we had at On The Way Kopitiam, located in Chinatown, was most enjoyable. 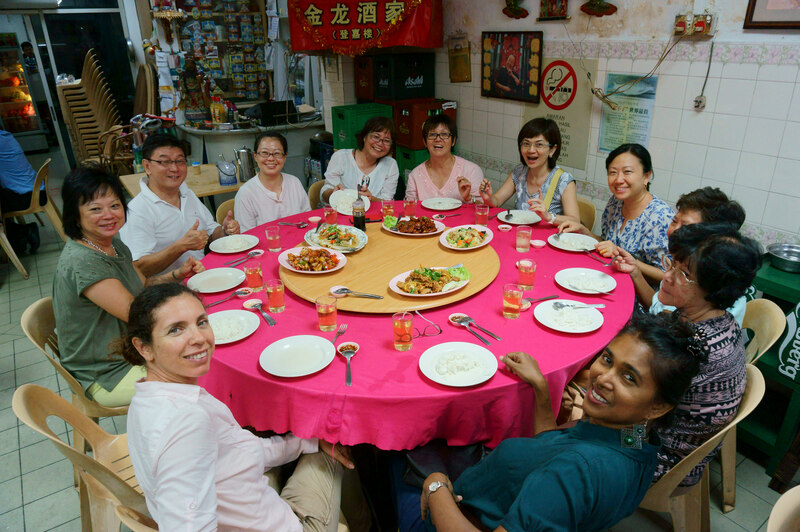 Everyone was delighted with the delicious local Peranakan fare. Dishes included, laksa, laksam, rojak as well as lekor (fish cake) served in 2 versions; steamed and fried. The satisfying meal was finished off with a bowl of ice kacang desert which helped cool down our bodies. Following lunch, we were led to Pulau Duyung by the museum staff to witness the building of a wooden perahu (boat) the traditional way. The type of wood used was the cengal which is a type of hardwood. The wood type is also used to build Malay houses. The cengal, just like teak wood, is able to withstand harsh weather and does not attract insects. The visit ended with warm appreciation and goodbye wishes extended to the hospitable museum staff from the MV group. Our next stop was that of Masjid Tengku Tengah Zaharah, the floating mosque. 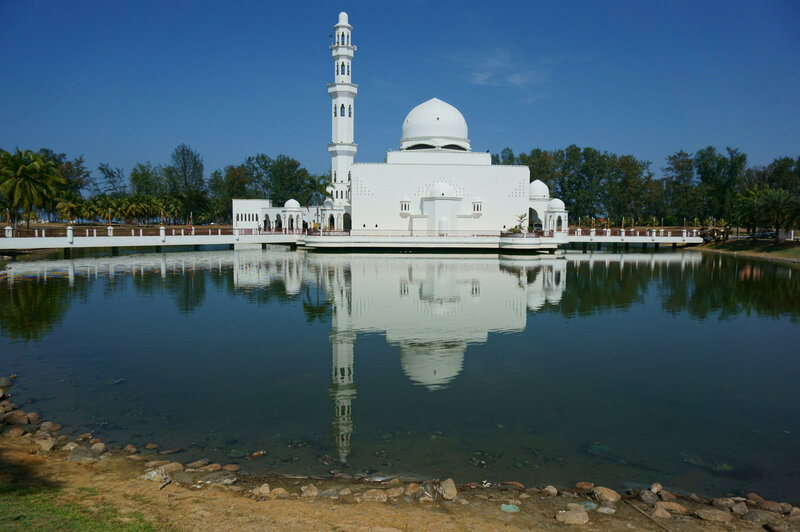 It was built by the late Sultan Mahmud Al-Muktafi Billah Shah, father of the current sultan of Terengganu in 1993 and opened in 1995. Named after the mother of the current Sultan, it was yet another beautiful mosque and a photo snapping spot for us. 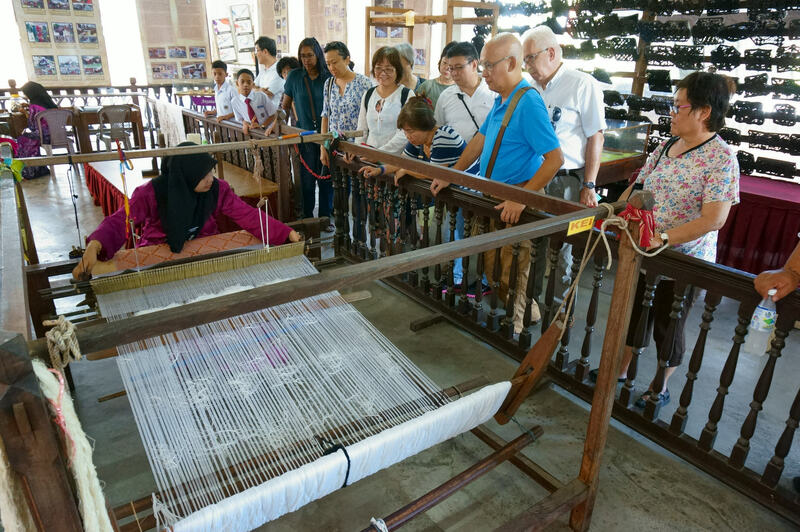 Next on our itinerary was the Nor Arfa Craft Complex where we witnessed 2 demonstrations relating to the cloth industry – the printing of batik as well as the weaving of the songket cloth. After this, our retail therapy commenced. Most of us ended the visit with items to bring home. The combined purchases entitled us to some complimentary items which were then given to the lucky ones resulting from a lucky draw following this visit. The last visit for the day was to a home family business. This is the home of a young family that is in the batik business. We were welcomed into more retail therapy. This time a warmer welcome as we were served local snacks and drinks. I was impressed with the young children helping out their parents in conducting business. The day ended with yet another but final meal for the day. Our dinner was at the Golden Dragon Restaurant, also in Chinatown, before heading back to the hotel for much a needed shower and a good rest. While it was tiring, the day was indeed enjoyable. We were enriched knowledge wise, experience wise, vitamin D wise (due to the intense sun) but NOT wallet wise, thanks to retail therapy. At day end, we were a happy bunch for sure – a day well spent and money well spent. 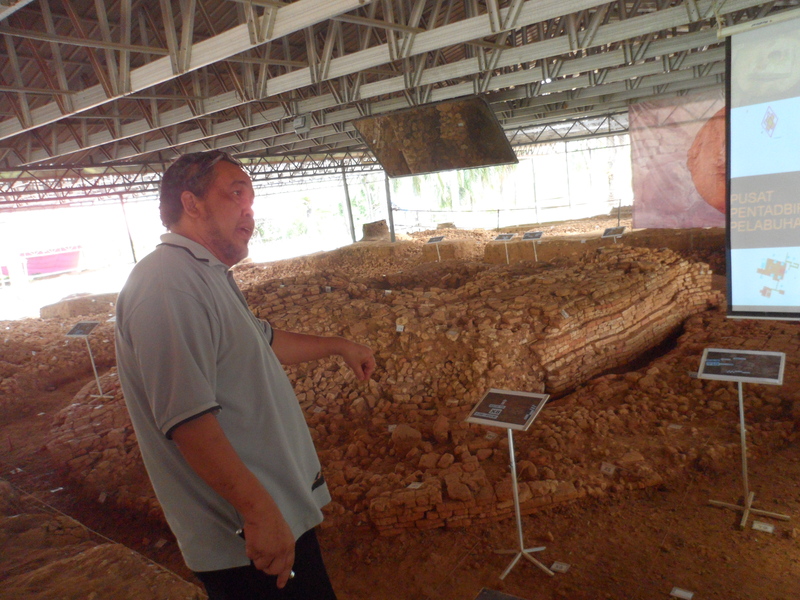 A visit to Sungai Batu excavation site is the menu for day 2 of our field trip to Lenggong and Bujang. Oil Palm plantations whizzes past and excitement was already in the air as excavation sites started coming into view. 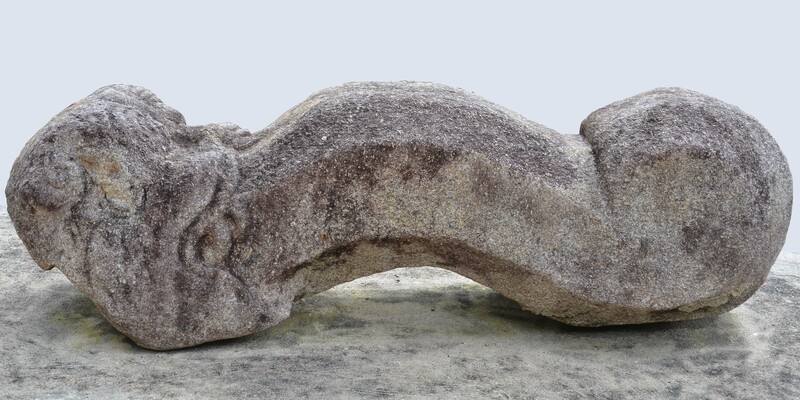 Sg Batu came into prominence in 2009 when excavation works unearthed evidence of the existence of a civilisation predating the Langkasuka Kingdom of the 2nd century in Kedah. Covering a four square kilometer, carbon dating done on the site suggest that civilisation could have existed as early as 50 BC. 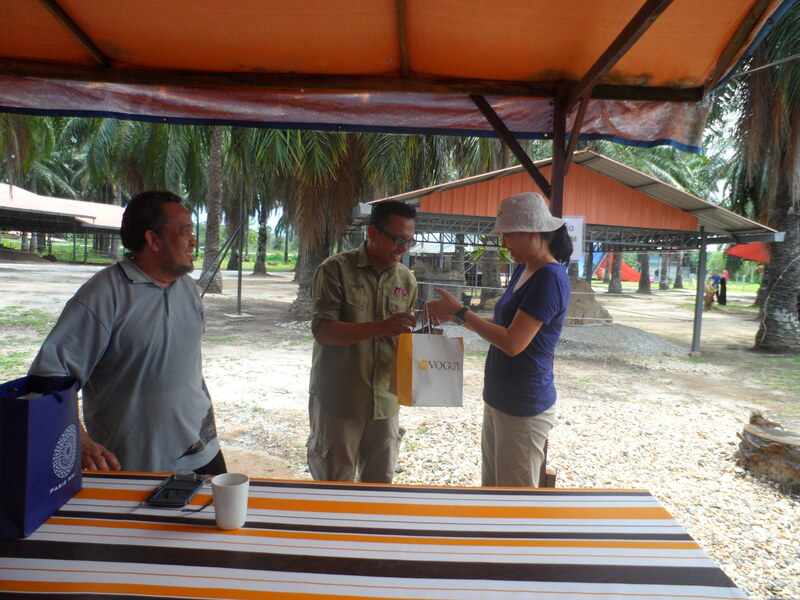 Upon arrival we were met by Associate Professor Mokhtar Saidin, Director of USM Global Archaeology Centre (PPAG). According to Prof. Mokhtar, “We have proof of civilisations existing as early as 50 BC, but we do not rule out an earlier time period. 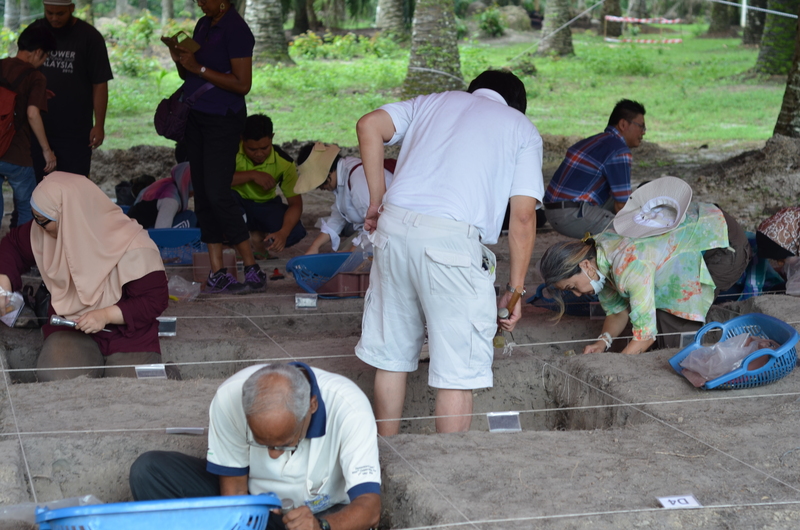 Therefore, the Sungai Batu site, based on the estimated timeline, appears to be the oldest civilisation in South East Asia”. 97 sites were identified and within these sites were discovered remnants of a ritual site which had a circular base with a square structure built on top of it. Strong evidence of early Hindu-Buddhist influences were evident with entrances aligned towards the East West direction facing Mount Jerai, the highest peak in Kedah at 1217m above sea level. 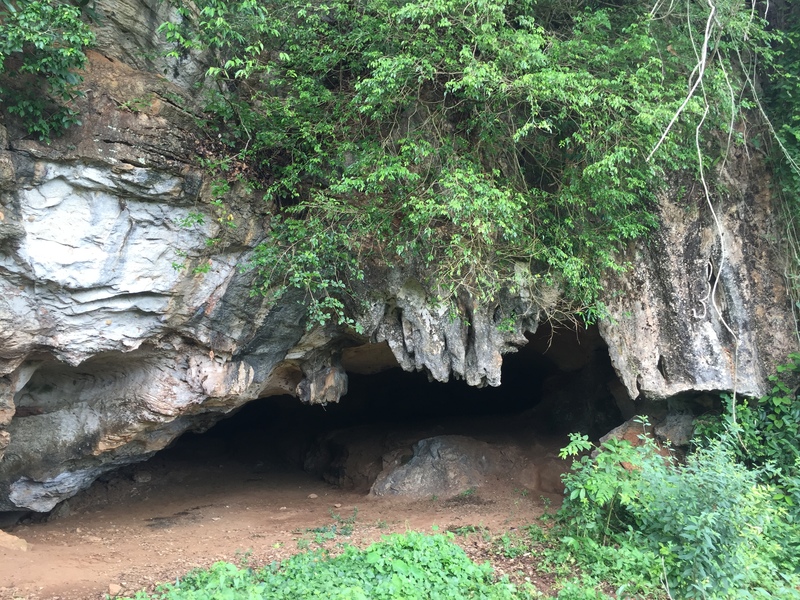 Iron smelting remnants were also found in abundance at these sites, pointing to strong evidence of trading and economic activities that were conducted here during those days. Not too far were discovered remnants of structures resembling its adminstrative functions with differing sizes of rooms, in total 12 buildings. To further strengthen the theory of an iron smelting industry that could have existed back then, iron smelting furnaces were also discovered, much to archaeologists amazement, fully intact. 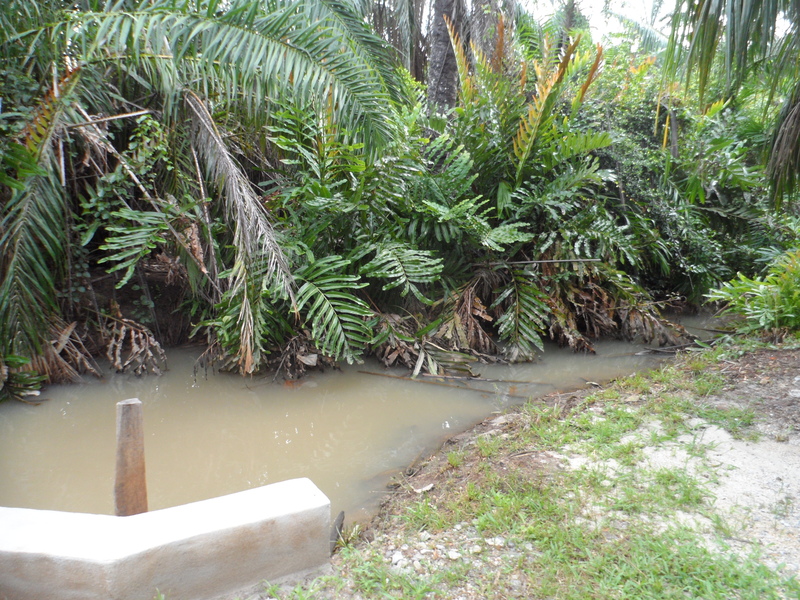 According to Prof. Mokhtar, the river could be very much closer that what it is today as some of the remaining brick structures resemble jetties, thereby confirming the theory that Sg Batu may have once been a prosperous iron smelting entrepot. Today a swamp and a tiny stream are the only indications of its past. Why this civilisation disappeared could be attributed to a tsunami which hit around the 9th century, according to Professor Mokhtar. Underwater excavations were also conducted and ship wrecks were discovered. As we walked through the sites, small iron remnants could be seen strewn all over the ground, along the path. What looked like normal stones to untrained eyes like ours, is actually iron. The most exciting activity for the day must be the hands-on experience of being an archaeologist. Prof. Mokhtar introduced us to his team of students who are presently studying for their masters and PHDs at USM. At the site, we were introduced to archaeological terms like, site, trenches and quadrants. Once a site has been identified by archaeologists for excavation, it is carved into trenches of 1 metre by 1 metre. From this trench, it is further divided into 4 quadrants of 50 cm by 50 cm. Archaeologists would then meticulously work on one quadrant at a time, patiently and painstakingly recording their findings with every 10 cm downwards. Students were given a specific site as their responsibility for their research on their papers. So when Professor Mokhtar told us that we were given this hands-on opportunity to get down on our knees, boy! were we excited! We could also pick our own trench! As no shoes were allowed in the trench, many of us sportingly kicked off our shoes, ready to “start work” as an “archaeologist” for a moment! Armed with the tools for the day, mallet, brush, scrapper, and a dust pan, we clumsily imitated the movements of archaeologists, brushing off dust, sand and what-have-you into the dustpan provided. It was certainly no fun, if passion is not the underlying emotion of the task, I discovered. Having gone through this back breaking experience, though short, gives us an appreciation of the work of archaeologists in uncovering our history. Kudos to them! After lunch, we had the opportunity to try our hands at brick making, which was taken up by only a handful of us. Very much like making bread, clay is the main ingredient utitilised. 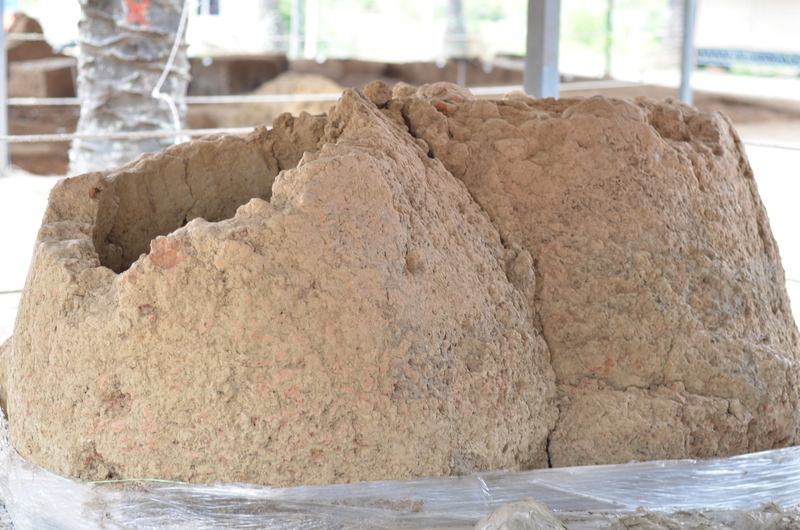 It is then mixed with sand and paddy husk and kneaded into a dough and placed into the brick mould to be allowed to dry for at least 2 days. It is then baked in open fire of 600 degrees till reddish brown. Voila! there is your completed brick, your own masterpiece which you can display in your home. A point to note is, it will take at least 2 weeks for this process to complete. For that, you will have to make a return trip to Sungai Batu to collect it if you really want to. That’s something for the individual to ponder. In appreciation of Professor Mokhtar and his team for their warm hospitality, Karen, our MV President presented tokens to them. Continuing our archaeological trail, we visited Site 23. Artefacts discovered in the site includes Arabic lamp glass fragments. Carbon dating indicates that this site was there even before the arrival of Islam in this region. Before we headed back to the hotel, we made a last stop along the way to one of the oldest mosque here in Kedah, located in the village of Pengakalan Kakap in the Kuala Muda District. Known as the Masjid Lama Pengkalan Kakap, it was built around the 1800s. Located slightly below street level, it underwent successful conservation works by the Department of Museums and Antiquity in 1994. Unfortunately this mosque is not in use anymore as there was a newer mosque constructed just next to it. As we made our journey back to the hotel, flashing back on the day’s activities , it has indeed been an eye opening and informative day all rolled into one word—EDUCATIONAL!